Explore this historic city while enjoying the dependable comforts of our Travelodge Fort Scott hotel. Conveniently located off US-69, our non-smoking property offers amenities to enhance your adventures, including free WiFi, a 24/7 diner, fitness center, and outdoor pool. Spend a restful night in rooms designed to block out disruptive light and sound. 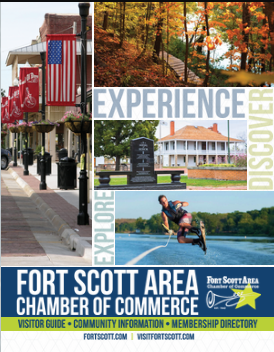 Four miles from Fort Scott Municipal Airport (FSK) and 98 miles from Kansas City International Airport (MCI), we offer easy access to Fort Scott National Historic Site and Gunn Park. Located on Hwy. 69 on the south edge of Fort Scott, nearby Walmart, strip shopping center, and adjacent to El Charro mexican restaurant.